Dale Earnhardt Jr. A legend in the NASCAR community, the driver’s recent retirement has left some pretty big shoes to fill – but MTN DEW believes they have found the sport’s next big one. 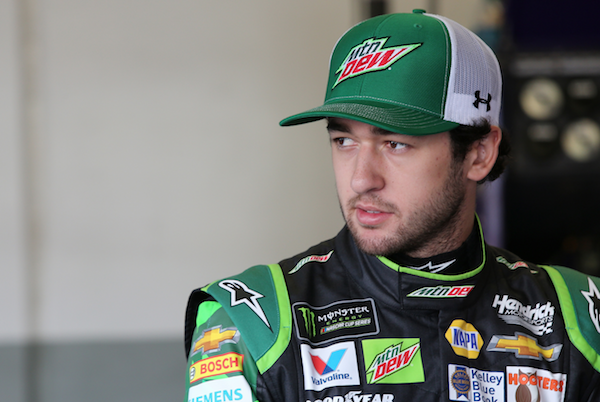 Today, the brand announces the extension of their long-standing partnership with Hendrick Motorsports through 2020, a renewal which sees star driver Chase Elliott continue to represent the iconic brand. MTN DEW has been a partner as Chase Elliott earned 2016 Cup Series rookie of the year honors, and has clocked in seven race wins and 117 top-10 finishes in NASCAR national series competitions. Not only is he the future of DEW racing – Elliott is also the future of NASCAR. MTN DEW boasts a storied history in the sport, and has been a partner and steward of the NASCAR world for 20+ years – sponsoring the likes of four-time champion Jeff Gordon, NASCAR Hall of Famer Darrell Waltrip and the legend himself: Dale Earnhardt Jr. As Elliott continues to follow in the footsteps of the greats, MTN DEW looks forward to showcasing his personality to the passionate NASCAR fans. Come October, you can find Elliott and his No. 9 Chevrolet Camaro ZL1 rocking a sweet MTN DEW paint scheme at the Kansas Speedway. Print article This entry was posted by Art Eddy III on July 11, 2018 at 1:33 pm, and is filed under Lifestyle. Follow any responses to this post through RSS 2.0. Both comments and pings are currently closed.